Dr. Hahn Navas’ parents are from Korea, but she was raised in Colombia, South America. She completed college, medical school and ophthalmology training in Colombia. 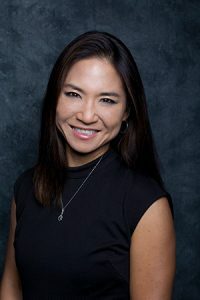 She moved to the United States in 2000 when the University of Southern California invited her to take part in a very ambitious eye care project among the Latino population. After completing that work, she moved to San Antonio for a further three years of training in ophthalmology. She has been taking care of eye problems for fourteen years, and the pleasure of helping her patients to see clearly has been a wonderful reward for all those years of training. Her husband is also an ophthalmologist. They have two children, and they all enjoy spending time together, traveling, hiking, biking, and swimming. I was scared at first to have my much needed surgery, but relaxed as the staff of nurses prepped me for surgery. Total 100% faith in my doctor. Dr. Hahn is so special to me. "She's the best." ~ Dorothy N.